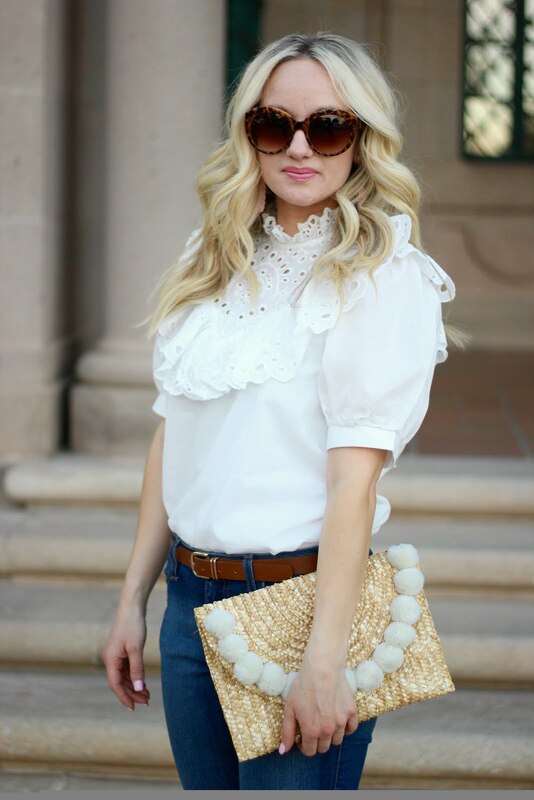 This pretty little eyelet top is the perfect for spring and summer. The eyelet fabric really grabs attention and makes a piece of clothing feel so feminine. Plus I love the high neckline and puff sleeves. It only $17 and looks so cute paired with shorts and sandals.